I’m always astounded by the depth of insight that God gave to Oswald Chambers on spiritual matters; especially on concepts that seem confusing to a great many people. 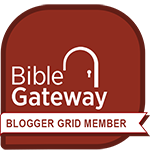 His God-given insights are on full display in his Notes On Isaiah. I’ll share one disappointment right up front: There is not nearly as much information in this book as I would have hoped for. Chambers’ books, with only a couple of minor exceptions, were not initially written as books. Instead, the books are a collection of sermons or lectures that his wife recorded shorthand as he spoke, and then they were transcribed and compiled later. Apparently during this series of lectures on Isaiah, Biddy Chambers had taken on more responsibility at the Bible Training Institute (even teaching a class of her own), and she gave birth to their only child. These things kept her from taking the extensive notes we readers have become accustomed to. Although limited, the content is still as insightful and mind-expanding as ever! David Lambert, a friend of the Chambers who helped get this book into print, marveled at how masterfully Oswald could make the words of Isaiah accessible to his students. 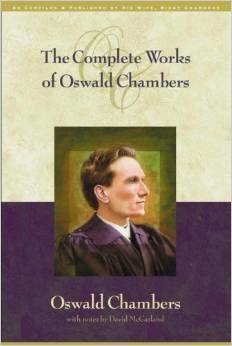 Lambert noted, “The only mind for the author of the Bible is the Mind of God, and the only Interpreter is the Spirit of God.” Clearly, Oswald Chambers was deeply dependent on both the Mind and Spirit of God in all of his work! In introducing this class to his students, Chambers reminded them what was at stake. He said, “God will never have us follow Him blindly,” unlike satan. He pointed out, “The supernatural power of satan never reasons, it appeals to man’s superstition, not to his conscience.” If ever a book of Scripture appealed to our conscience to open our eyes and hearts to the ways of God, it is the book of Isaiah. And Oswald Chambers is a marvelous companion for our journey through this book! « What If I Sin?